The buses cost Rs. 1.61 crore each, which is more than double the price of regular buses and have a seating capacity of 30 people. 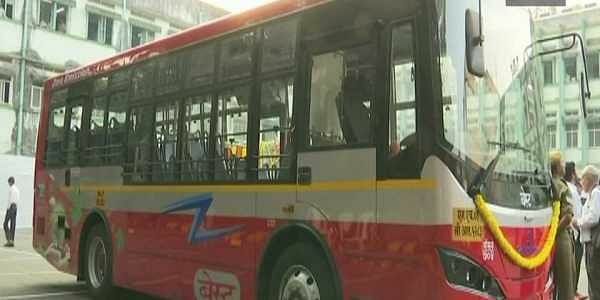 MUMBAI: With the objective to cut down the fuel cost and provide environment-friendly solution, the Brihanmumbai Electric Supply and Transport (BEST) has introduced emission-free electric buses. Four buses have been added to the fleet on Thursday. Yuva Sena chief Aaditya Thackeray inaugurated the eco-friendly bus service at Wadala depot. The introduced buses can run up to 200 km at a stretch once fully charged for three hours. Till now, the electric point is set only at the Backbay Depot. For the initial phase, the buses will run on routes around Chhatrapati Shivaji Maharaj Terminus (CSTM) and Churchgate station, including Route Number 138.